Unfortunately age is an unstoppable process and as the body grows older so does the skin; consequently its appearance and characteristics change. Your skin contains a very important component called hyaluronic acid, which is so important for water retention. As we age this decreases along with oil producing (sebaceous) glands becoming less active and your skin dry. The skin also loses fat, so it looks less plump and smooth and because the number of blood vessels in the skin decreases, this skin loses its youthful glow and colour. 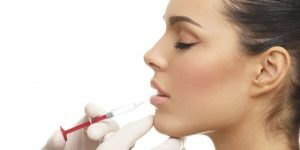 Amongst the wide choice of options that are available to treat lines and wrinkles, dermal fillers which contain hyaluronic acid are the treatment of our choice as they diminish the signs of ageing and rehydrate the skin. Juvederm ULTRA SMILE - Lip contouring and augmentation, medium to deep wrinkles such as oral commissures and peri-oral lines. Juvederm Volift Retouch - This is the ideal product for touch-up treatments to compliment the refinement of an initial Juvederm filler. The Juvederm Volift Retouch is highly versitile and allows you to fill deep skin depressions, resotre volume, and improve face contouring. Dermal fillers are smooth gels that are injected to restore volume, fill fine lines, wrinkles & folds, redefine lips or give volume. What Area's Can Be Treated? Areas of choice are; sleep lines, eyebrow re-shaping, glabellar lines, eyes-crows feet, tear troughs, cheek bones and malaria augmentation, earlobe re-shaping, philtrum and peri-oral wrinkles, naso-labial folds, vermillion border, lip volume, mouth corners, marionette lines and chin augmentation. The aesthetic results can be seen straight away. Dermal fillers can last for as long as 12 months, depending on many different factors i.e. age, lifestyle and area being treated. What After Treatment & Aftercare Can I Expect? Following treatment there may be some redness and localised swelling present and slight bruising to the area that has been injected. These side effects are temporary and should not last very long.